Can't handle your daily expense? Daily Expense Manager is here to help. 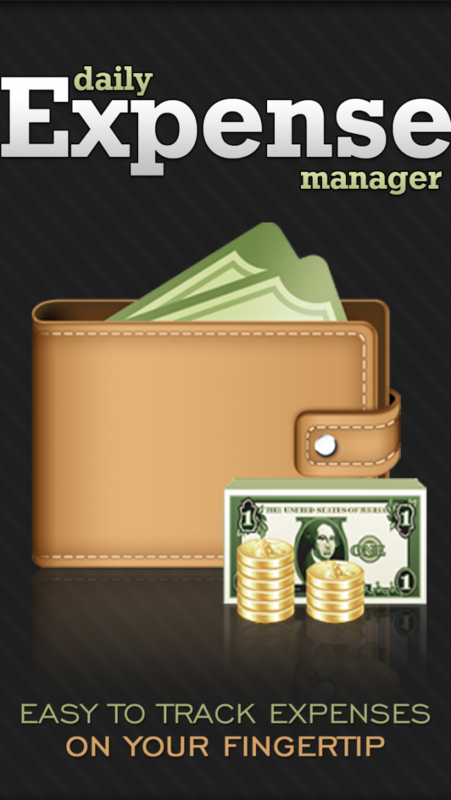 Daily Expense Manager is the simplest way to manage your personal finances and daily expense. 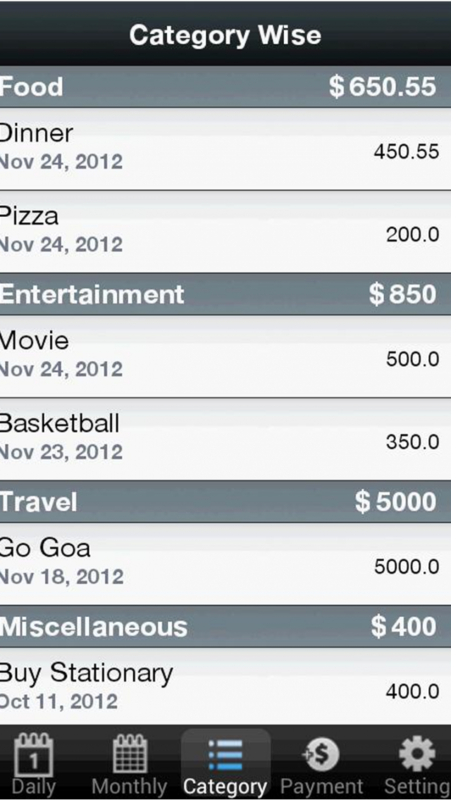 Daily Expense Manager application helps you budget and track your spending. Flow-oriented interface to make it quick and easy to enter the expense details and get an accurate picture of your expenses and budget every time. 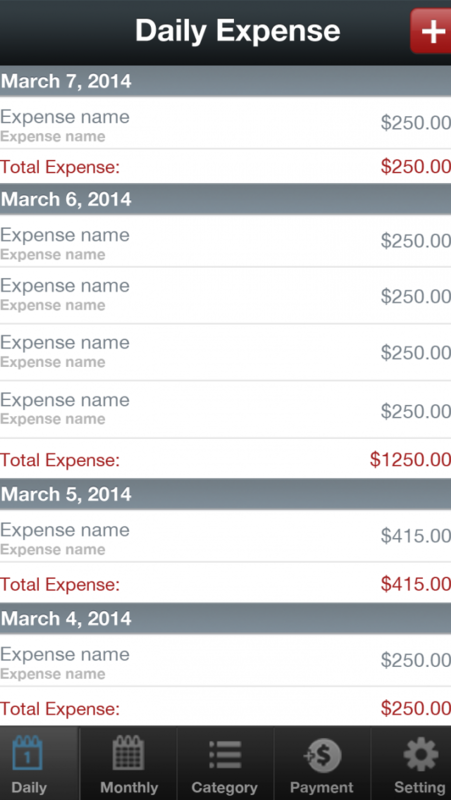 Daily Expenses Manager makes it easy to analyze your expenses. This app has ability to create your own set of categories. You can also customize suitable payment Modes, categories, Expense Date, Expense details, currency etc. • Add Expense Amount, Date, Category, Payment Mode, Description. • View your expense daily, monthly, by Category or by payments. • Set your desired currency. • Backup your expanse data by Email or File sharing facility. 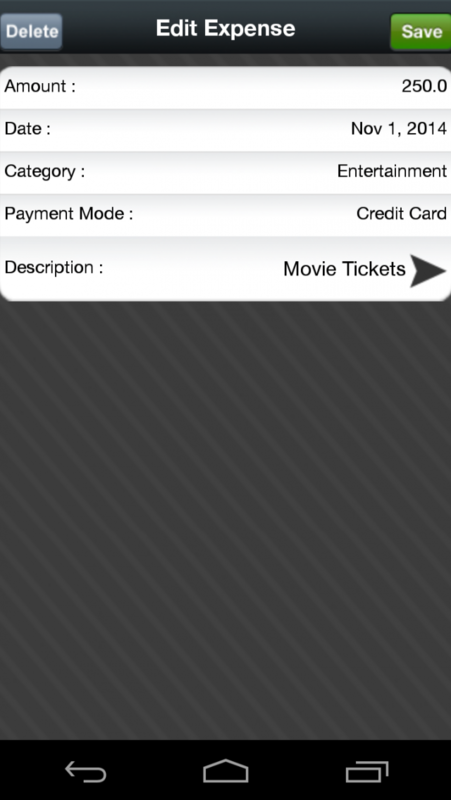 • Customize expense categories, Currency, payment mode. Managing daily expenses manually takes considerable time and effort. By using our Daily Expanse Manager app, you can reduce your unwanted workload, lower your exposure to human error and at the same time guarantee far more systematic and effective control of your expenses. You have your Android phone. You have all your funky apps, How about something useful? Something that helps you use your Android to its greatest potential? Get Daily Expense Manager useful expense manager app and get complete expense details on your finger tip anywhere you go.